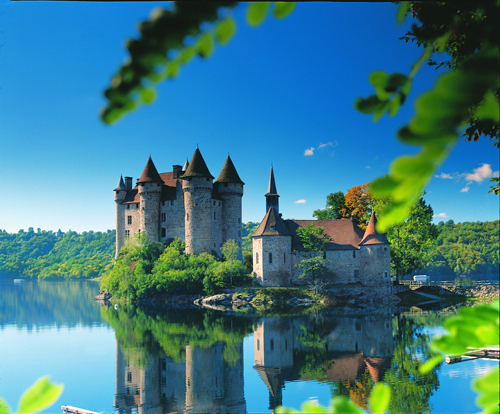 The Limousin region is for country lovers. It’s a get-away-from-it-all location which is sparsely populated and where the air is pure. Here you will find forests and woodland, green fields and hills, rivers and lakes, quiet lanes and country markets. With the Loire region in the north, the Dordogne to the south, the Auvergne in the east, the Limousin averages an altitude of 350 m rising to 900m at its peak. Warm summers and cool to cold winters, depending on the altitude, and year round rainfall are the characteristics of the climate here. The area is famous for its hearty food with top quality beef from the much sought- after chestnut red Limousin cattle, lamb, fresh water fish, foie gras, truffles, apples and blueberries and a profusion of chestnuts. You can walk off all the good living, enjoy the water sports, fish, ride and play golf; a healthy and active life awaits. Fine craftsmanship has been a feature of the Limousin throughout the centuries with the porcelain and enamel production in Limoges, tapestry and carpet making in Aubusson, fine leather gloves factories, stained glass, paper manufacture and gold mining. 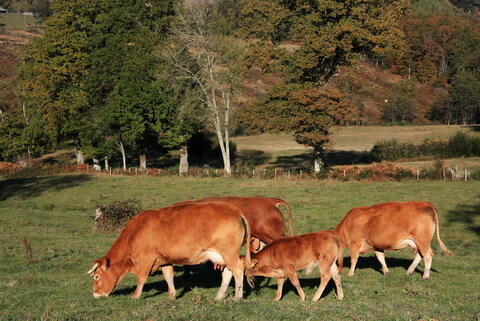 The Limousin is less well known as a tourist region than its neighbours. It has suffered from poor transport connections in the past, but now this has changed. The high speed train (TGV) from Paris, Eurostar direct from London and good regional services, plus two local airports mean that this area is a good prospect for the future. Property prices are more reasonable and with green tourism on the up, the region presents an opportunity to provide outdoor activities and rural accommodation from chambres d’hôtes to camping. The Corrèze is the most tourist orientated of the three départements. Bordered in the south by the Dordogne river, some of the most picturesque villages in France are to be found here. Collonge-la-Rouge, named after the red sandstone rock in the area, and Gimel-les Cascades are brimming with geraniums and with tourists in the height of summer. Bort-les-Orgues is a spectacular rock face, once a volcanic lava flow, stretching 20 km along the upper valley of the river Dordogne. 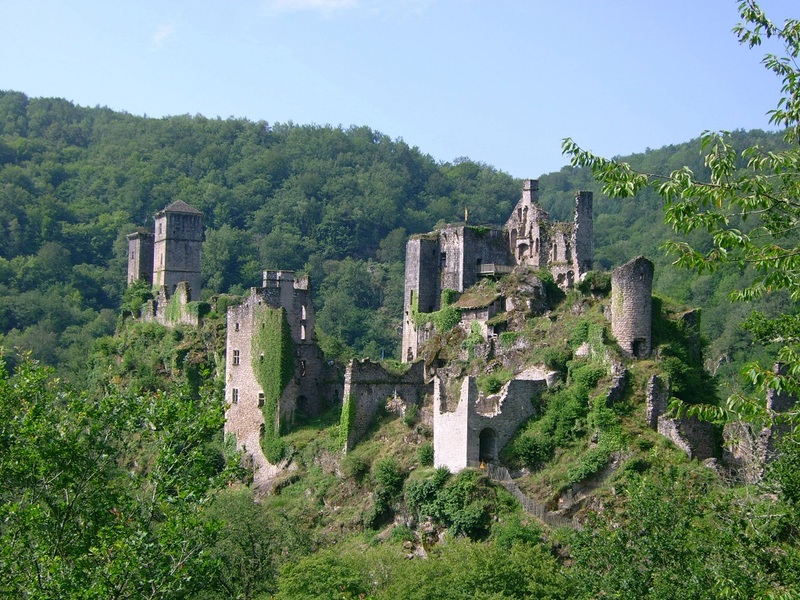 Here too you will find Château de Val, a 15thC castle with six conical towers set on an island - all that’s missing is Rapunzel leaning out of the window to complete the fairy tale setting. The upland Plateau de Millevaches, named after the thousand springs in the rock includes the towns of Eymouties, Maymac and La Courtine and offers hikers and cyclists woodland and pasture, lakes and dams. This is a verdant land frequently likened to Ireland. Tulle and Brives la Gaillarde are the main towns in the Corrèze. The latter is a good base for exploring the area and it is a major rail junction. A new airport opened there in 2010, Aéroport de Brive-Vallée de la Dordogne, sometimes called Brive-Souillac, offering flights to London City Airport and Paris, and this will bring further prosperity to the Corrèze. Lying in the north-east of the Limousin region, the landscape here consists of rolling hills and steep valleys. Oak, ash and chestnut woods predominate and timber is a good source of income for the area. Rivers abound, and one of the largest reservoirs in France, Lac de Vassivières provides a focal point for water sports and leisure activities. In summer, the beaches are pleasantly crowded, there are campsites and holiday accommodation, sailing and kayaking. Guéret is the main town of the department and just south of this in the Chabrières forest where a zoo has been set up with wolves in semi-captivity in order to protect the species. Aubusson is a small medieval town built in granite. Here the carpets and tapestries so highly prized by royalty, merchants and aristocrats in the past were made. Depicting hunting scenes and religious icons in vivid colours and with fine detail, the town has a museum displaying six centuries of history. meaning. This is the enamel, which together with the fine porcelain is synonymous with Limousin. One of the components of porcelain is china clay or kaolin, which was found in a particularly pure form in the region. Several factories, Haviland and Bernardaud still produce this lavishly ornate china and there are two museums, the Musée d’Eveché and Musée Adrien Dubouché which tell the whole story. Before leaving the Limoges area, mention should be made of Oradour-sur-Glane which suffered terrible atrocities during World War II at the hands of the German SS soldiers. As a memorial, the village has been left untouched since June 10 1944, a history lesson for all to see. By road, the A20 passes through the middle of the Limousin from Paris to Toulouse. Limoges is 393 km from Paris and 302 km from Toulouse. TGV trains operate from Paris to Limoges and there is a Eurostar from St. Pancras direct to Limoges. There are regional services to Lyon, Angoulême, Poitiers, Bordeaux, Toulouse and Cahors. Flights operate from UK airports to Limoges. In summer 2010 a new airport opened at Brive-Souillac with flights to London City airport and Paris.